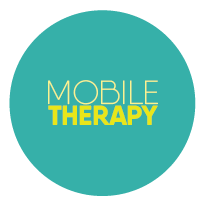 Mobile Therapy is a well-established mobile private Physiotherapy practice. We specialise in Aged Care and have expanded into the disability sector in recent years, We have developed a reputation for excellence in providing evidence based physiotherapy services to mostly elderly clients in their residence, across the North West sector of Sydney. We endeavour to apply evidence-based exercise programs aimed at restoring and maintaining mobility, increasing strength, balance and flexibility, and thereby maximizing well-being, and reducing falls risk. We support clients exercise to choice and independence and respect consumers' privacy. We have a culture of inclusion and respect for our clients. Founder, Dianne Sindel is a committed Christian.